Fox News Host: You Mean Gayle King and Robin Roberts Aren't the Same Person? 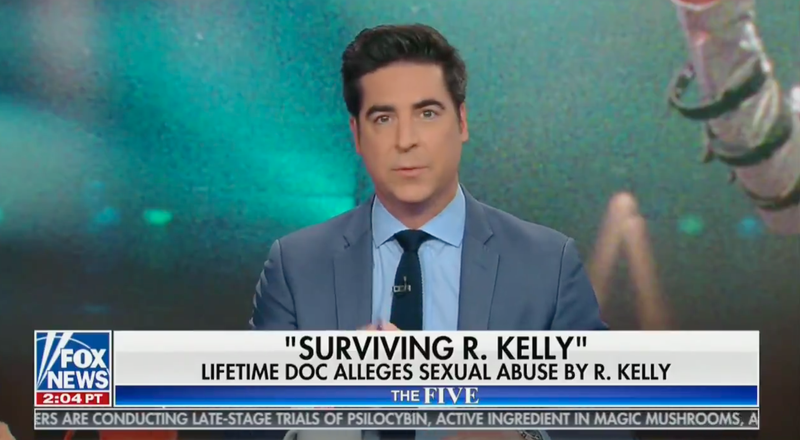 Jesse Watters, living embodiment of what a mayonnaise dream deferred would look and act like if it angrily humped a very smug dab of expired bronzer, is an idiot. This has not stopped him from having a too-long and, I guarantee, too-lucrative career at Fox News, where his sole function is to continue being an idiot. “He was acting like a child, throwing a tantrum and acting like he was the victim. Like, ‘you’re doing this to me,’ and taking no responsibility for himself. I agree, hats off to Gayle King for totally redeeming herself after the [Jussie] Smollett fiasco,” Watters said, turning to his co-hosts. “That was not Gayle King,” Dana Perino, suddenly the voice of reason, responded. “Oh. I knew that,” Watters responded. “Robin Roberts did the Smollett interview,” Perino said—again, somehow the voice of reason—or at the very least, the voice of being able to tell two black women journalists apart. Watters, a dude who looks like a guy who wanted to be better at sports than he actually was, facepalmed. And apologized on a whiteboard, as a professional newsperson does.